Orange is known as the food bowl of NSW and it has an equally impressive wine scene, too. Three-and-a-half hours west of Sydney, at the base of an extinct volcano, sits the food basket of NSW: Orange. Rich, fertile soils feed the thriving agriculture and viticulture scene, while Sydney tree-changers and local artists feed the burgeoning café culture. Dig in. Every April, the local region celebrates its abundance of produce with this renowned week-long festival filled with lunches, night markets, forages and our favourite, the 100-Mile Dinner – made up of dishes created from local produce within 100 miles of Orange. Regarded as a local dining institution, Lolli’s has won 10 Sydney Morning Herald chef hats since opening, along with a slew of other industry awards. Expect a modern Australian menu based around local and seasonal produce. A caffeine hit in a new town is often fraught with danger, but Bill Beans is a shoo-in. Doing their own roasting and brewing, Bills Beans is so popular they’ve recently opened a new roastery and flagship espresso bar in an old mechanical workshop, fittingly named Factory Espresso. Here you can pick up a coffee, taste test different brews in their cupping lab or stay for breakfast or lunch – with a menu that’s focused on local produce, of course. Orange’s local fruits: apples, cherries, stonefruit but, alas, not oranges. The Mandagery Creek Farm Kitchen hosts a regular lunch on the second Saturday of every month, set in a large garden surrounded by pine forest and paddocks. Bring your eating boots; the farm’s tender venison is always a star among other locally-grown ingredients. The annual Black Tie and Gumboot Truffle Dinner at Borrodell Vineyard takes place in August. It starts with a gumboot-wearing truffle hunt with Sonny the dog, followed by a five-course degustation dinner featuring truffle-inspired dishes, matched with local cool-climate wines. This honey-producing café is also a brewery and nursery and, as well as showcasing honey bees at work, boasts an array of regional products, antiques, and honey-brewed beer. 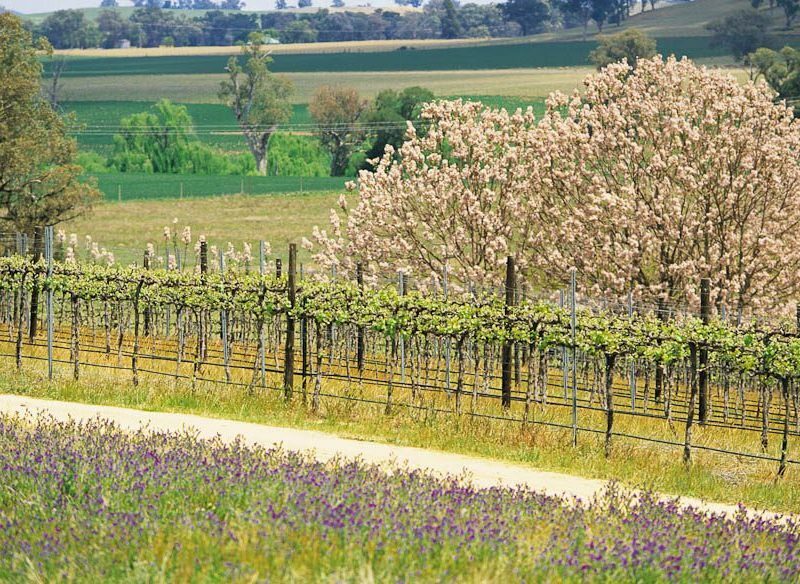 Best to set aside a couple of hours for Beekeepers Inn – it’s halfway between Orange and Bathurst. Country meets chic in this fully self-contained Victorian homestead with three double bedrooms, a full kitchen and a lovely outdoor area. It’s also just a stone fruit’s throw from the town centre. From $200 a night. Set on the edge of historic Millthorpe is this charming little bed and breakfast. There is a cheese platter on arrival, cooked breakfast, luxurious linen, and a collection of boutiques and restaurants down the road. From $175 a night. This converted B&B was once a shearing shed – and it shows, in the nicest possible way. Hand-cut timbers, galvanised iron and shearing paraphernalia all make for a comfortably stylish way to immerse yourself in the region’s agricultural history. Each ensuite comes with L’Occitane amenities too. From $210 a night.